Welcome back to Unwinnable’s Pulp Book Club. In honor of Halloween, we’re discussing Roger Zelazny’s A Night in the Lonesome October, a relatively recent (1993) novel that chronicles the events of The Game, a month-long magical ceremony that will result in opening the way for the return of Lovecraftian entities into the world – or keep them shut out. The players and their animal familiars are a host of characters from literature, history and film – Jack the Ripper, Dracula, Frankenstein, Rasputin, Sherlock Holmes and more – and The Game is played out through a series of deals, murders and other skullduggery in a rural suburb of Victorian London. 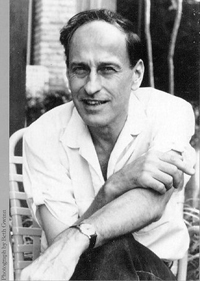 Zelazny himself was prolific author of fantasy and science fiction who often toyed with established mythologies in his narratives. Most of his books are characterized by a wry wit, a casual approach to the supernatural and the examination of the relationships between the ancient and the modern. The influence of Hammet and Chandler on his crisp, punchy dialogue is also obvious. Rumor has it that A Night in the Lonesome October was written to win a bet that Zelazny couldn’t write a story in which the reader rooted for Jack the Ripper. It was also, sadly, Zelazny’s last book before his death in 1995. A deft pastiche, the book is a strange mix of light-hearted and dark, gruesome and cozy, self-aware and serious. Is it genius? Is it glorified fan fiction? Why has Stu Horvath read it eighteen times? Did Brian Taylor enjoy reading it even once? Will Unwinnable keep the Elder Gods from returning in all their tentacled glory? I have had a long relationship with A Night in the Lonesome October and it has changed a lot over the course of so many readings. Initially, of course, it was the thrill of something new. For a long time, I loved it because of the collage of characters. Zelazny is working with a large group of iconic characters and it is exciting to see them interact with each other, in the same tradition of Murder by Death, Monster Squad or Abbot and Costello Meet Frankenstein. Zelazny handles them very well, letting the reader’s knowledge of the characters’ previous incarnations do a lot of the legwork – while he weaves the narrative by quietly reinforcing or subverting those preconceived notions. Those are the years I’ve wondered why no one ever developed the book into a six episode cartoon mini-series. That funny light came into his eyes, and his hand came out of his pocket and captured starlight traced the runes on the side of his blade. “Well met,” Jack said then, through the teeth of his grin. In recent years, I’ve been more focused on how The Game is presented and played. The rules unfold fluidly and naturally over the course of the narrative and Zelazny doesn’t go to lengths to over-explain them. Even when they change or are broken, it all feels part of a very real system rather than a dramatic convenience. These are the years that I have wondered why no one has developed a series of videogames based on The Game. Recently, though, I started thinking of the book as a satire. There are a lot of strange social and political undercurrents in the book (How come all the Closers, the presumptive Good Guys who want to keep the non-eldritch status quo, are all tied to the aristocracy while the Bad Guy Openers, who want to let Cthulhu and company in, are working class free thinkers? Is there a broad comparison to be drawn between the historical Great Game(s) between the British Empire and Russia?). We can talk about all those things individually, of course, but I wanted to start out by trying to explain the book’s enduring appeal and evolution for me over the years. Not bad for a book whose main character is a talking dog! This book’s cover took me straight back to early-mid 1990s Waldenbooks, at the Uniontown Mall. I spent a lot of time in Sci-Fi and Fantasy, marking down titles and authors to look up at the library (unless I had received a gift certificate for Christmas or a birthday). I have a lot of really negative memories of those books, and that definitely made me skeptical of this book. So my initial impression was, I think, “Stu tricked me into reading early 1990s fan fiction,” the kind of what-if blending of characters from different fictions that I’m sure was around before the Internet but really makes me think of newsgroups. You said Zelazny lets our knowledge of these characters from other sources do the heavy lifting, but I am not sure all of that stuff is even relevant. Aside from a few misdirections (Dracula being a Closer intent on keeping the Elder Gods outside of our realm is totally echoed in late Season 2 Buffy the Vampire Slayer, where Spike, a vampire, doesn’t want to destroy the world because humans are “Happy Meals with legs”), I’m not sure these characterizations serve much more than for a reader to get a little bit of joy from recognizing the allusions. The Count flowed forward. No single limb seemed to stir, but suddenly he was there besides them. But those characters aren’t really all that relevant. All of The Game’s players have a familiar: Jack’s dog Snuff narrates the tale, and the entire book deals with his preparations for the final ceremony on Halloween night. That’s when, at a location determined by the bases of each of the players, two groups will attempt to either open or close a gate that will allow Lovecraftian Elder Gods through or trap them for…I don’t really remember how long. I like how the story plays out like a two-stage board game, where at the beginning everyone knows their own role (Opener/Closer) but not that of anyone else. And so they spend half the month or so gathering their own objects for the ritual and taking calculated risks with information, trading without giving too much away. I really like the notion that to keep themselves safe, no one wants to reveal their role to anyone else until the last possible minute. The risk of killing someone who is on your side is too great, so taking out the participants early on is disincentivized. And I love that the rules are only ever explained as needed, when the animals are trying to work things out. No one stops for forty pages and explains the long history of The Game in excruciating detail. Zelazny pulls from pulp and horror, not a Tolkien in sight. If the Closers win, Brian, the Elder Gods area locked out until the next full moon on Halloween, at which point The Game begins again. Try to keep up. You’re right, though – the familiars are the real focus of the book. The literary figures lurk in the background, the subject of gossip and speculation, and are rarely interacted with directly. There is something, perhaps the remoteness of the powerful human characters or the layers of cross-interest, that actually reminds me of Red Harvest. Granted, the goings on in A Night in the Lonesome October are far more genteel than in Hammet’s novel, but there is plenty that is hardboiled about the book. It is, after all, the story of one man… er…dog, against a corrupt world. Aside of literally being a bloodhound, Snuff talks like a gumshoe, too. He has Zelazny’s own version of that old Hammet/Chandler sass, a kind of wry, world-weary humor that colors his monologues. His dialogue, on the other hand, is brusque – to keep other familiars in the dark while he puzzles through some facet of the mystery. Just one more piece of the pulpy homage. And the book has its femme fatale (le chat fatale?) in Graymalk. There is also a detective story going on mostly off-page, as Holmes and Watson are running around, investigating. Holmes disguises himself as an old woman, but is still obviously himself to Snuff’s sense of smell. You’d think, given his hyper-rational character, that Holmes would dismiss all the supernatural goings-on. The thing in the Circle changed shapes, finally making itself look like a lady dog of attractive person and very friendly disposition. But I was not fooled into breaking the Circle. It didn’t have the smell part down yet. In the Frogwares game Sherlock Homes: The Awakened, the pair stops a cult from summoning Cthulhu. There, Holmes dismisses the existence of the Elder Gods and follows the supernatural only as something that the people he is chasing believe in. He’s trying to stop a crime, not an apocalypse. October‘s Holmes assists a werewolf in controlling his lycanthropy and talks to Snuff as though he has no trouble believing the dog can understand him perfectly. Neither Holmes nor Frankenstein and his monster are Players in The Game. Along with Talbot, the werewolf, they’re kind of outside factors that can influence the events, but they don’t wield any of the objects that the ritual requires. I think that having all the Players be known historical and fictional characters actually lets the book sidestep their flat characterization. Even if this Jack the Ripper is sympathetic, it is only by knowing who he is supposed to be and what he is supposed to have done that could take away from that. This Jack isn’t the Jack from From Hell. So instead of spending time fleshing out the Players who, for the most part, are mechanically preparing for Halloween, Zelazny uses these established characters to underline how unimportant they are. Because, again, the familiars are doing all of the heavy lifting. 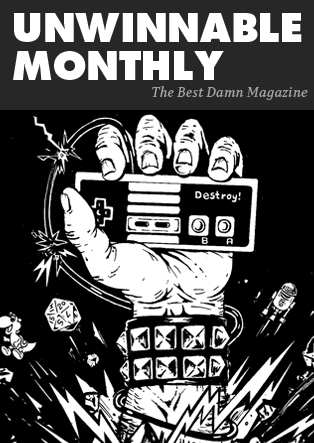 Well, we ran through our space pretty quickly and there is still a lot to talk about – the Calculators and Gahan Wilson’s illustrations and more. First though, Brian, I want to ask – did you wind up liking the way the story resolves? Or did it leave you feeling unsatisfied?